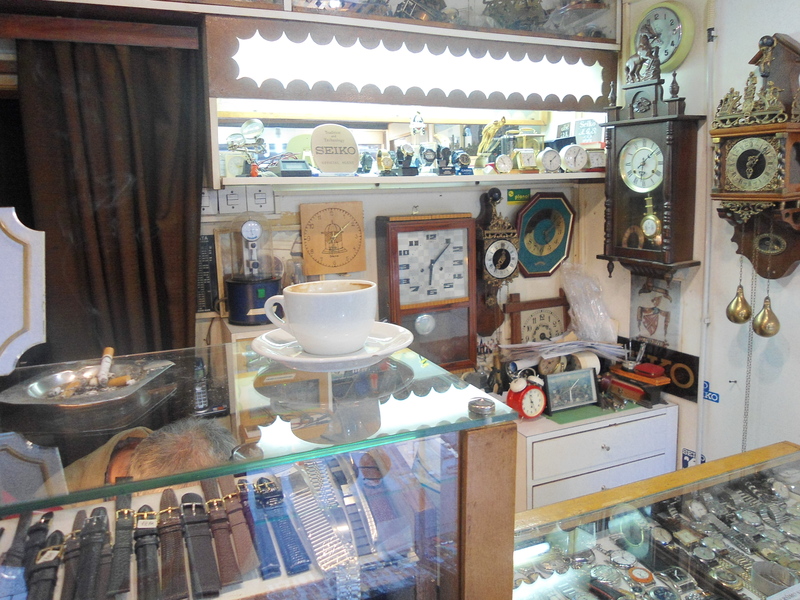 If you came across a pocket watch in the middle of a field, would it make you think of the watchmaker? 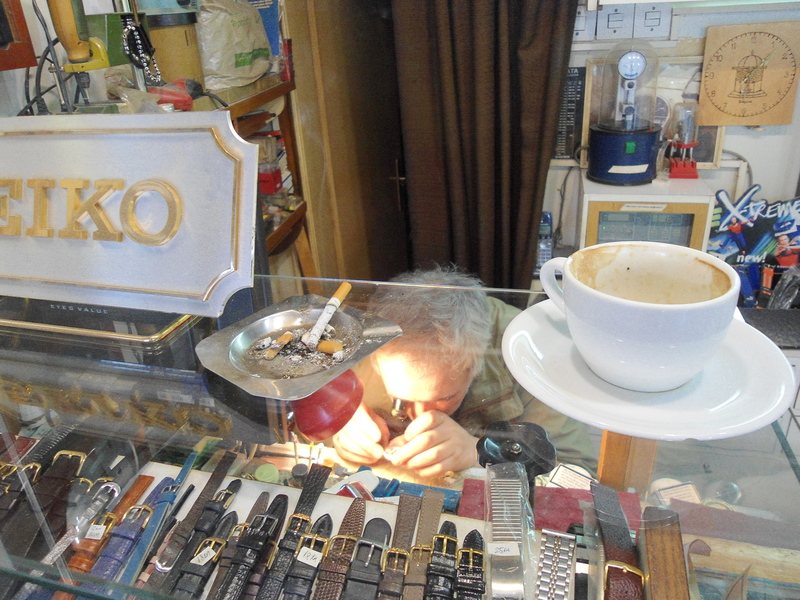 I love the precise work of the watchmaker in this little shop in the old town of Sarajevo. 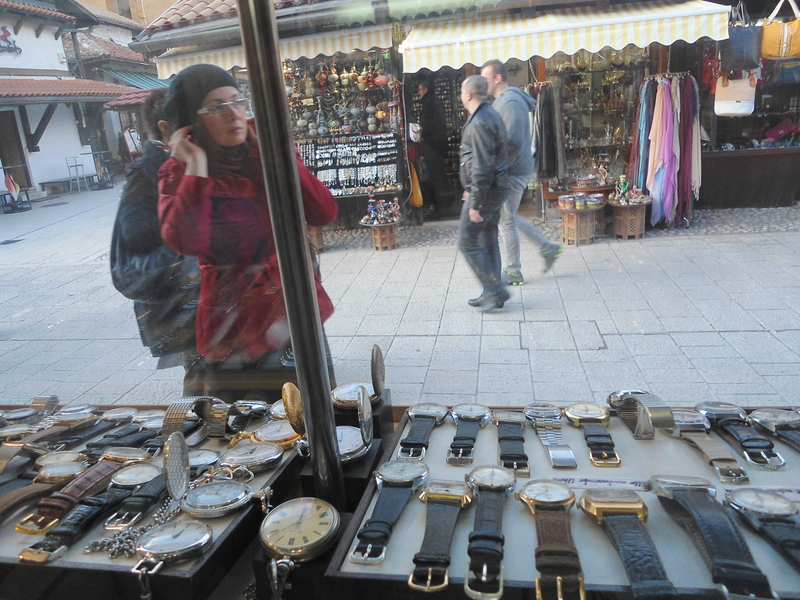 He has some lovely old watch faces, little gold ones, that I am daydreaming of wearing… He takes old watches and fixes them up, recovering their true value. (They don’t make watches like that anymore!) Kind of like a metaphor for something. What gorgeous watches. That watchmaker looks so precious! he has such a cool magnifying glass! Yes, it would! 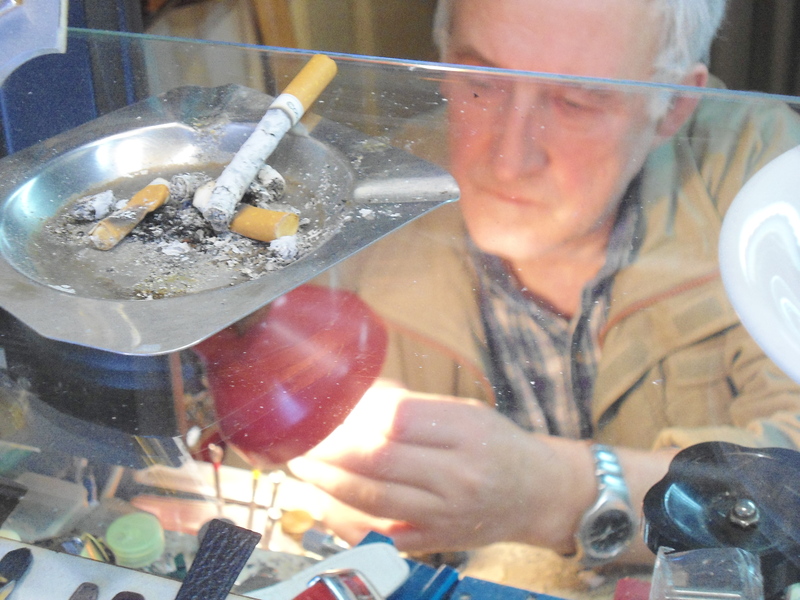 I love how you can see how much care the watchmaker is putting into his work. You capture this so beautifully in these photos. Maybe we need a post… how to put on a watch? I haven’t worn one since college! Reminds me of that brian selznick book, The Invention of Hugo Cabret (which was made into the movie “Hugo”)… have you read or seen?